at Vincent’s Men’s Salon and Lounge in Albuquerque’s Westside. 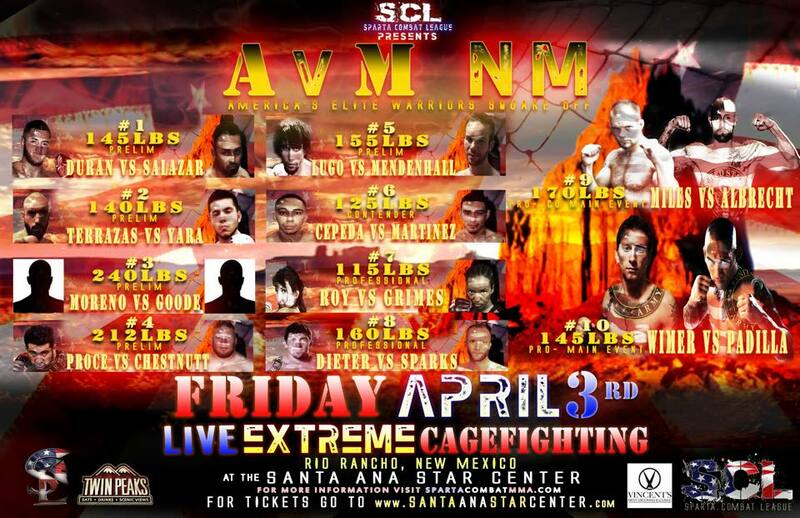 The weigh-in will feature fighters from the upcoming April 3rd card which will take place at the Santa Ana Star Center in Rio Rancho, New Mexico. The card, titled Army vs. Marines: New Mexico, is expected to partially benefit the Wounded Warrior Project. In the main event, Albuquerque’s Conrad Padilla (U.S. Army), will be facing Wyoming’s Clayton Wimer who will be fighting in honor of SFC Michael Huitema. The rest of the card is composed of former servicemen/women along with many fighting in honor of friends and family members that have served in our nation’s military.